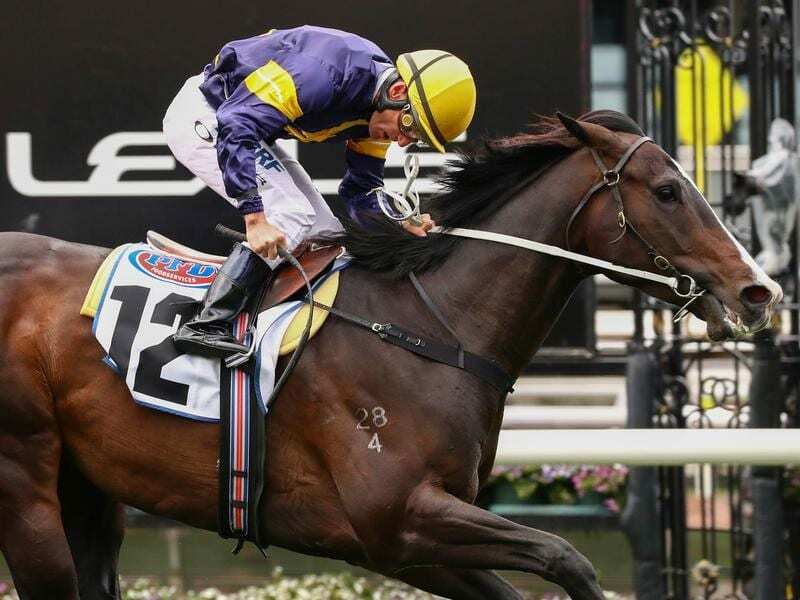 Trainer Mick Price is hoping Grunt’s record at Flemington will help him become one of the popular horses with the voting public and he can gain a start in The All-Star Mile. The inaugural All-Star Mile will be run on March 16 carrying prize money of $5 million with 10 of the places to be determined by on-line voting which opens on January 21, six days after nominations close. Grunt is a dual Group One winner over the All-Star Mile course and distance winning the Australian Guineas last autumn and the Makybe Diva Stakes in the spring. He hasn’t raced since finishing down the track behind Winx in the Turnbull Stakes at Flemington in October. “The All-Star Mile is tailor-made for him,” Price said. “His record over a mile at Flemington is outstanding so there was never any doubt that we would be entering him for the race. “It’s difficult to predict how it will play out in the first year, but I’m hopeful he’ll win enough votes to get into the race. “He has the right profile and form lines, so if people are being objective rather than subjective and voting for the horse they think can win the race, then I’d like to think he’d be pretty close to the top of the list. West Australian Material Man, the winner of this year’s Perth Cup, is also an All-Star Mile nomination. The seven-year-old is trained by Justin Warwick and has been a family affair with his daughter Lucy riding the gelding in 10 of his past 11 races. Material Man has finished outside the top three just twice in those 10 races, taking his career earnings past $1.5 million.